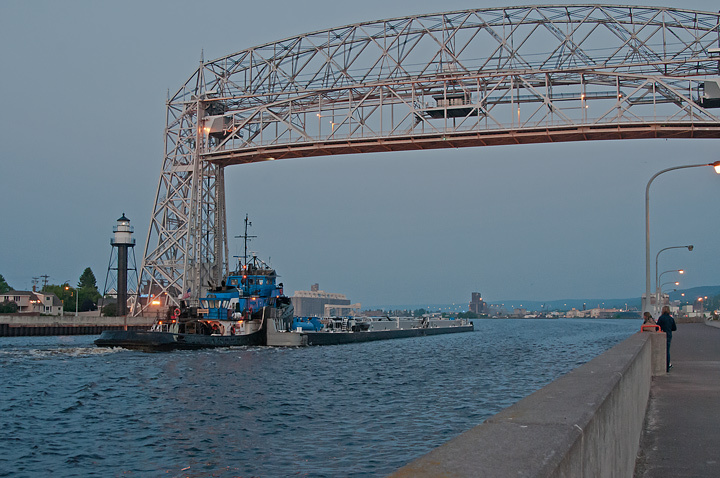 One of the main activities in Duluth, Minnesota is ship watching in Canal Park. 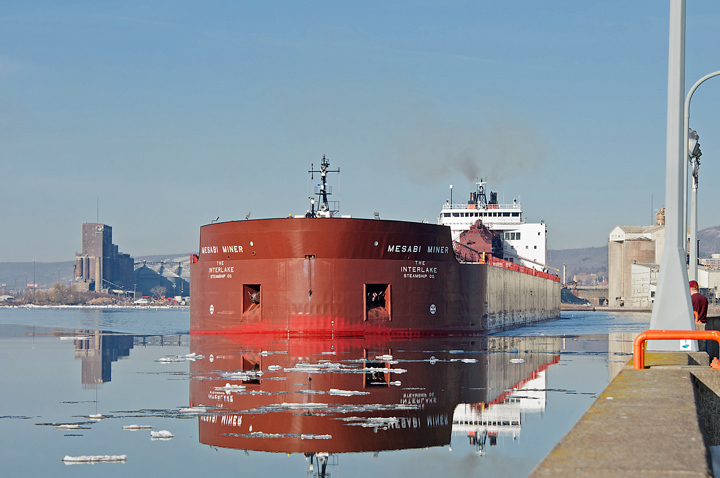 Duluth is the cargo capital of the great lakes with over 1,000 ship visits every year. Ship watching usually starts the end of March and runs through January of the next year. Peak times are in the summer months when Canal Park is loaded with tourists. Unfortunately there are not always ships entering or leaving the harbor so without good planning you may not see many ships. 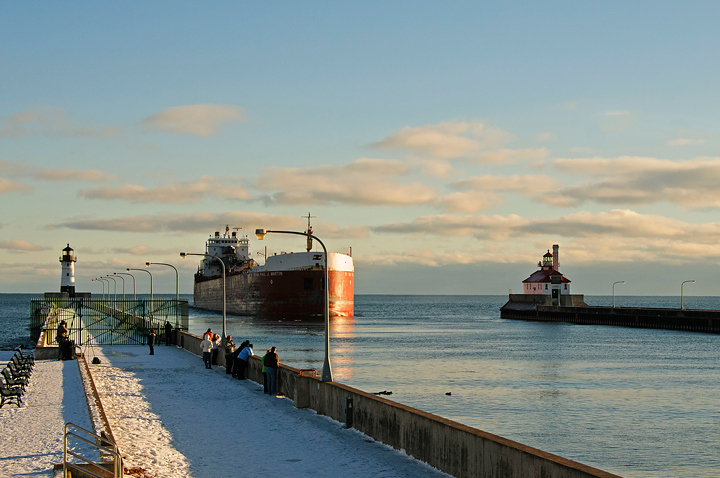 The first place I always check when planning a trip to Duluth is the Duluth Shipping News website. 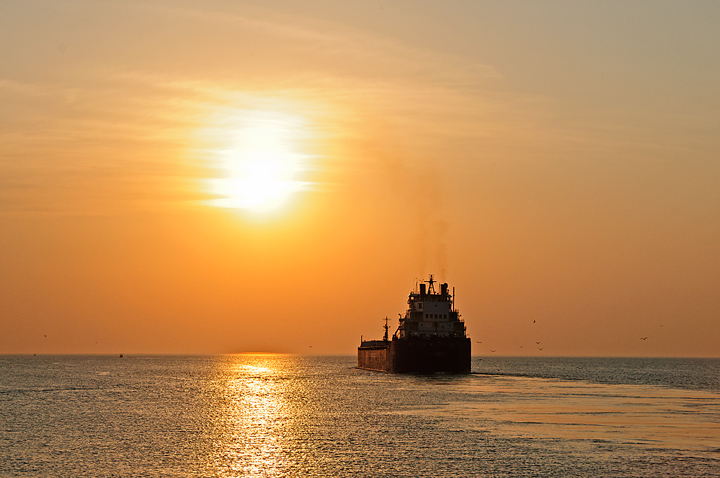 This provides a ship schedule which lists ships that are expected to arrive and depart from Duluth and Superior harbors as well as the harbors along the north shore. It also provides an approximate time when the ships will arrive and depart and a hot link to additional information on the ship. Unfortunately the times given are in “ship time” which means they may or may not depart around the times given or even on the day given. Never the less you can get a good idea of expected ship activity for a given time period. 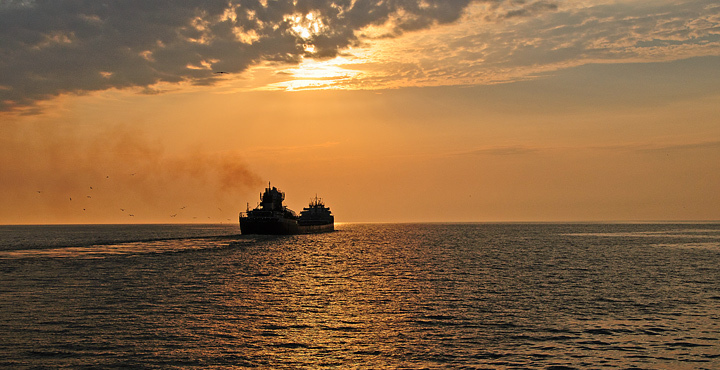 The Shipping News also provides information on any special activities that are taking place. 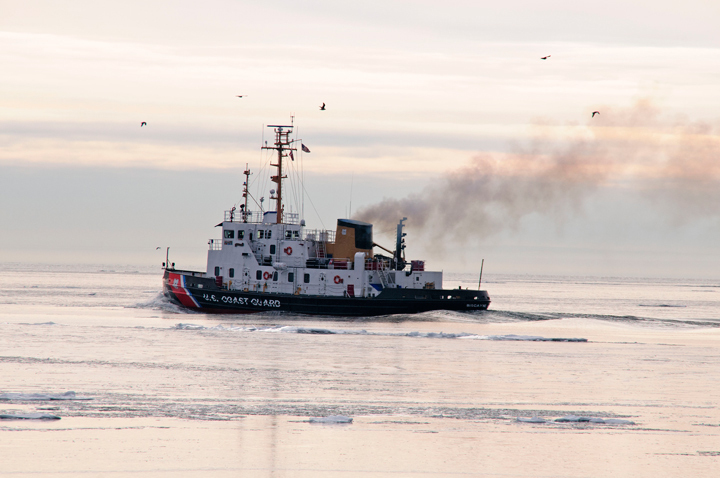 This includes the arrival or departure of a special ship or maybe ice breaking activities taking place in the harbor. It also provides historical information on all of the ships that enter the harbor. As I mentioned this is always the first place I check when planning a trip. Unfortunately the times given for the ships are not always accurate so once I arrive in Duluth I then start following ships on MarineTraffic.com. This website uses AIS (Automatic Identification System) data to track ships around the world. 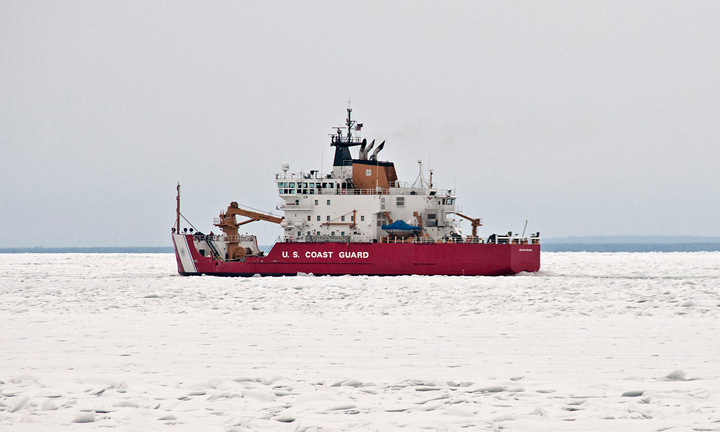 This is the first shipping season that it has tracked ships in the Duluth Superior area. When you initially connect to the site you will encounter a world map of shipping. All you need to do is to zoom into Lake Superior. 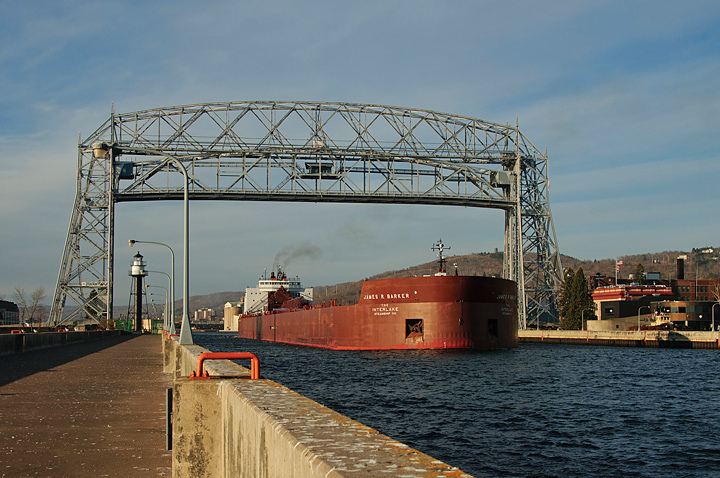 Once you start watching shipping in the Duluth area you are ready to go. The next time you enter the site it will automatically open to the last location you were looking at. The ships are identified by various types and colors of icons. The icons differ depending on whether or not the ship is moving. When you click on the icon a window will pop up that provides you with the flag of the ship, photo of the ship, ship type, its status, speed, destination and estimated time of arrival in UTC time. You can also click on a link that shows the vessel’s track. This link shows where the ship has been over a given period of time. When you are finished looking at the track just right click and the track will disappear. Usually what I’m interested in is where the ship is going and how long it will take it to arrive. To do this click on the distance too.. link. A waypoint balloon will appear on the map. Click on the destination and a second balloon will appear. For example if you were tracking the American Spirit and wanted to know how long before it arrived in Duluth click on the distance too… link and then click a second time on Duluth. When the second balloon appears it will tell you approximately how long will take the ship to arrive in Duluth at its current speed. A right click will clear the map. If you really get into things you can add ships to your fleet and track you fleet. You can also get notification of vessel arrival and departures etc. In addition to the web base site Marine Traffic also has an app for phones that allows you to track the status of ships. It provides much of the same information that the web site does. It is very useful if you are out and about and want to track ships. Up until this year the only site that tracked marine traffic in the Duluth/Superior area was AIS/Marine Information from Thunder Bay. I still use this site occasionally. Sometimes I know a ship is in a particular location and the Marine Traffic website is not picking it up and it shows up on the Thunder Bay site. The Thunder Bay site does not provide as much information particularly it does not display the destination and the ETA. 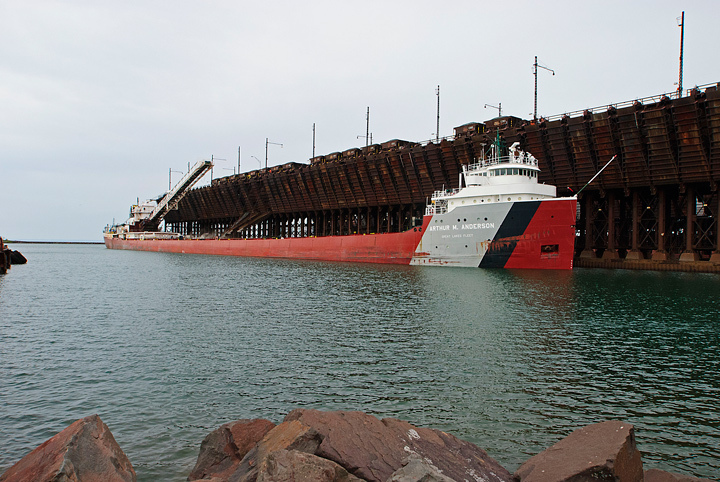 I end up using the Duluth Shipping News to see where the ship is headed and then follow its progress on the Thunder Bay site. 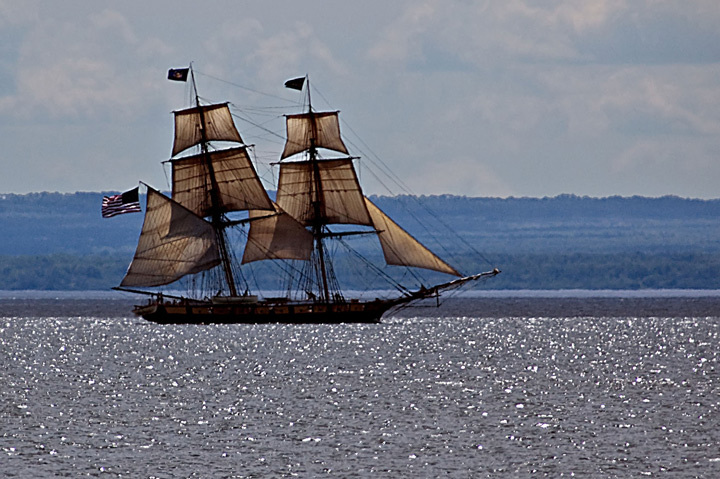 Following the ships will be even more interesting this year because the tall ships will be coming to Duluth the end of July. All of the tall ships have tracking devices on them so you will be able to follow them as they arrive, sail and depart from Duluth. This photo of the Niagara was taken a few years ago when it visited Duluth. Even with the AIS tracking available things don’t always go according to plan. 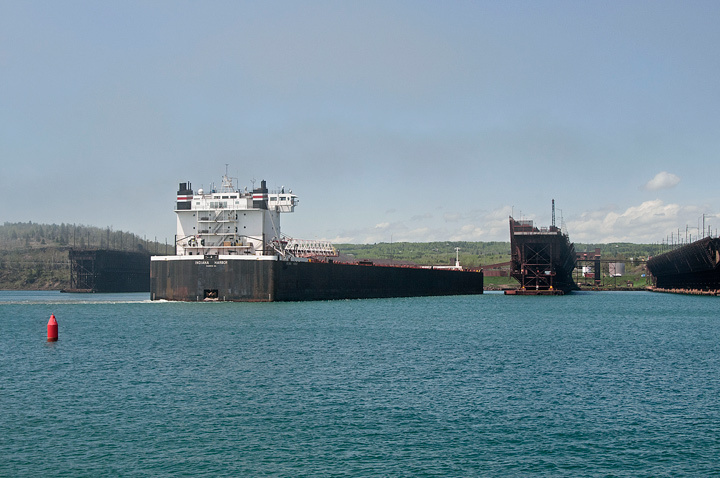 When shipping season opened this year I was tracking the Mesabi Miner as it steamed toward Duluth. It was supposed to be the first ship to arrive for the season. There were a number of photographers in Canal Park to observe the arrival. As the ship neared the canal entrance it moved off to the south. Word spread that it was heading for the Superior entrance and they all jumped in their cars and took off. A little while later I heard it drop anchor. It turned out that another ship was already docked where it was going to dock so it had to anchor until that ship departed. In retrospect I could have probably figured this out if I had looked a little more closely at the ships that were already in the harbor and check the Duluth Shipping News to see which dock the Mesabi Miner was going to use. A little later in the season I observed the Federal Kamano which arrived around the end of April and anchored out in the harbor. Apparently there were some problems with its papers and it wasn’t until a month later entered port to pick up grain. I happened to be in Duluth when it arrived and again when it was going to depart. I normally check the Marine Traffic site the first thing in the morning to see if any ships are arriving or departing. Fortunately I live close enough to Canal Park so I can just walk down to the ship canal if I see activity. 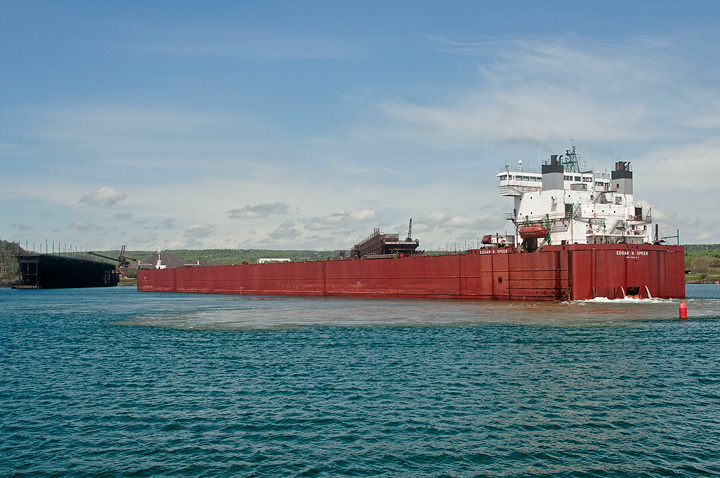 On this day I noticed that the Kamano had departed from the dock and was heading out to Lake Superior. There was a lot of fog that morning and when I arrived at the ship canal the tracker indicated the ship was steaming down the harbor toward the ship canal. It never showed up. the next time I looked at the tracker the ship was anchored out in the harbor. Apparently the fog was too thick for it to leave the harbor. Late in the spring I was tracking a ship as it came under the Blatnik Bridge heading for the ship canal. I grabbed my camera gear and headed down to Canal Park. The ship never came out. I noticed a ship at the fueling docks but could see the name. I later checked the Duluth Shipping News which noted the ship intended to leave the docks and then stop for fuel before leaving Duluth. If I had checked the Duluth Shipping News I would have know that. A couple of hours later the ship finally went out of the harbor. 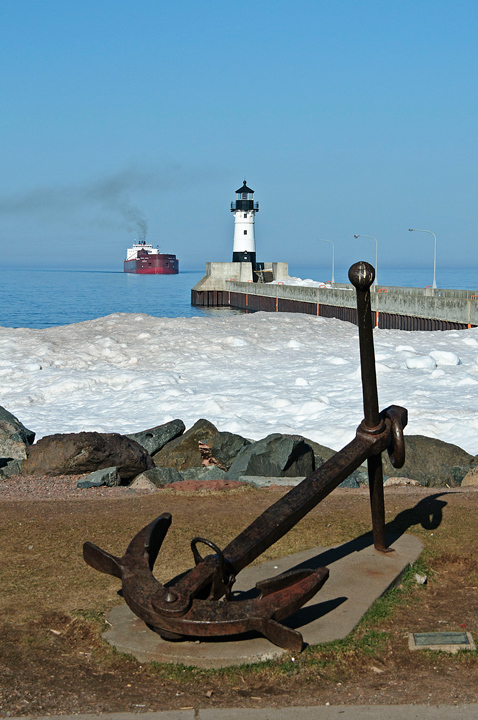 It is also possible to listen into the Duluth Harbor Marine broadcasts. I’ve not had a lot of success with this probably because there is not that much marine traffic. A complete listing of radio channels can be found at this link. the information was provided by the Duluth Marine Museum. Probably the biggest day for marine radio traffic was April 13 of this year. Because of a big storm there were fourteen ships either in port of anchored outside the harbor. When the storm finally lifted all of the ships were jockeying for position to either leave the harbor or get into the harbor. There was a lot of marine broadcast traffic during that time and some of the captains were a little upset. There is no harbor master in Duluth so the ships had to work out who was going to go first etc. between themselves.